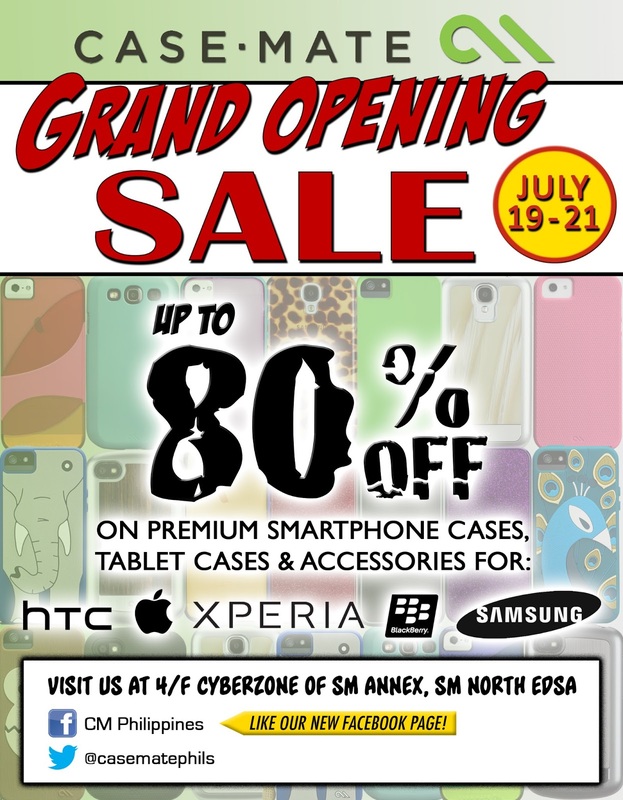 Case-Mate Kiosk Grand Opening, Up to 80% Off on Products! Calling owners of HTC, Apple, BlackBerry, Sony, and Samsung smartphones and tablets! 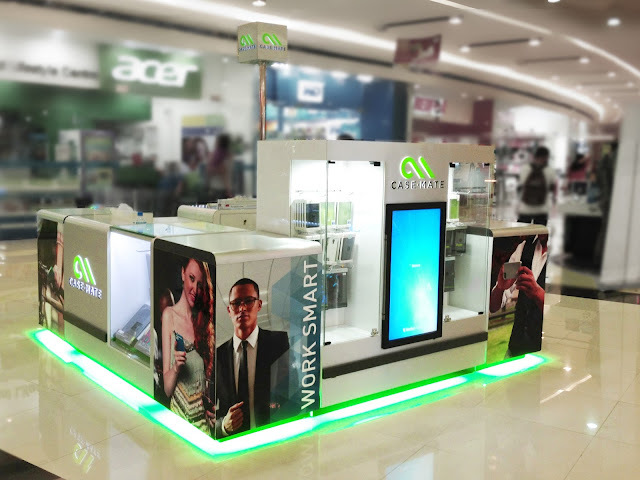 Global premium case manufacturer Case-Mate is opening its first kiosk in Manila - a sign that it wants to have a retail presence in the Philippines. On July 19, 2013, Case-Mate will hold its grand opening at the 4th floor, Cyberzone of SM Annex, SM City North EDSA. Apart from this symbolic stint for the manufacturer, they're treating customers to an opening sale of up to 80% off on premium smartphone and tablet cases, as well as accessories for several gadget brands. Unlike any other product, Case-Mate is made with high quality, durable materials with a fashionable look and detailed finishing. Case-Mate has various partnerships with leading global device brands and manufacturers, ensuring that its cases are tested and verified as fit for their devices. After all the hard work placed on earning money and spending for expensive smartphones and tablets, it's a must to invest in protective gears for our gadgets. Investing in the right case is very important, as there are a lot of cases out in the market that are poorly constructed and do not have the proper fit - truth be told, these cases may result to even damage your device instead of protecting it. Case-Mate Glam Series - for female fashionistas who want a gadget with dazzle and sparkle day or night. Case-Mate's Men's Collection - evoke a look of modern and natural sophistication with this collection. Case-Mate Brushed Aliminum Series - a series with a blend of metallic, sporty look and sleek luxurious feel. Case-Mate Wood Series - a collection of exotic and distinct as the premium hardwood. Case-Mate Carbon Fiber Series - oozes with handsome aesthetics that complement your high-performance automobiles with the technologically advanced lightweight fibers used by Formula One race cars and luxury automobiles. Case-Mate Tough Xtreme - a collection for the tough and adventurous personality. With the opening of the Case-Mate kiosk, the we will be able to see and try on the vast selection of Case-Mate cases. Visit the the Case-Mate kiosk and find a full range of cases and covers for various devices like the iPhone, iPad, iPad mini; Samsung Galaxy, HTC, Sony Xperia and BlackBerry.